"Comparing it with an AKG C414 XLS setup with similar settings, the LCT 640 TS has a more flattering quality to it. 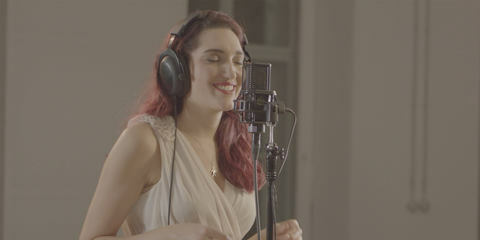 The lows are bigger, and the upper midrange smoother and more pleasant, with a touch more air around the vocal. For our vocalist, this setting pulled a little of the life out of the bottom end, but was much smoother at controlling the proximity effect, and was our final preference. On acoustic guitar with the mic set to Figure-8, the LCT 640 TS sounded sweet and clear. The strings rang cleanly and the figure-of-eight pattern blocked any breathing noise from the guitarist. For this performance, we used the filter set to 80Hz, which was perfectly suited to pulling out any rumble without any noticeable effect to the tonality of the guitar. 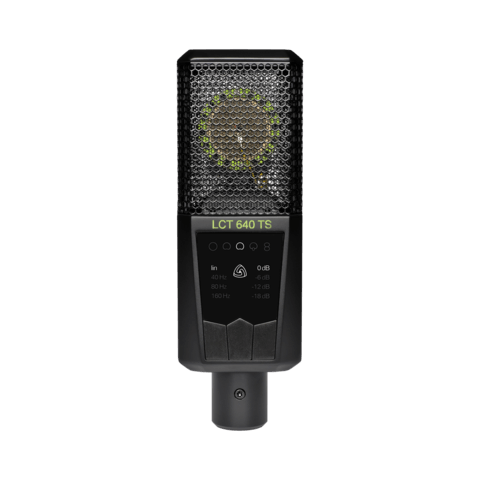 By enabling you to record both diaphragms, the LCT 640 TS provides something different to most multi-pattern microphones. However, if you enjoy experimenting with recordings, this microphone would be an excellent addition to your arsenal. Furthermore, if you are looking to invest in your first multi-pattern condenser, this can always be used as a standard condenser as well as in Dual-Output mode, and is a great-sounding microphone. A pair would provide a wealth of stereo options."